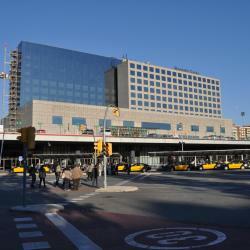 Looking for hotels near Zona Universitària Metro Station? 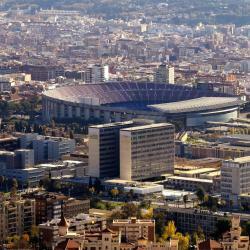 Sofia GL is set on Barcelona's Diagonal Avenue, a 5-minute walk from FC Barcelona’s Camp Nou Stadium. It features free WiFi throughout, on-site restaurants and stunning city views. Offering free Wi-Fi and air conditioning, Loft and Flat is located in Barcelona’s Sants District, 492 feet from Badal Metro Station. The apartments and studios are modern and stylish. Located in Barcelona’s Pedralbes neighborhood, Upper Diagonal offers modern accommodations with free WiFi and a gym just 0.6 mi from the Camp Nou football stadium. 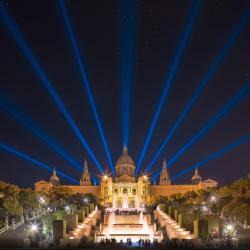 Ten To Go Hostel is located in Barcelona, within 984 feet from Sants Station. The property features social areas and an outdoor swimming pool and free WiFi. Beautiful and stylish suites located in the heart of Pedralbes, one of the top residential areas of Barcelona and close to one of the city's main business districts. 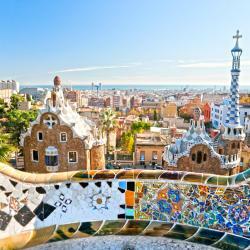 Located in Barcelona, a 15-minute walk from Camp Nou, Ona Hotels Arya has a terrace. This 3-star hotel offers a bar. 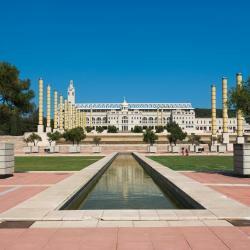 Magic Fountain of Montjuic is 1.5 miles from the hotel. Very kind personnel. Clean and safe. Located in Barcelona’s Pedralbes neighborhood, Upper Diagonal offers modern accommodations with free WiFi and a gym just 0.6 mi from the Camp Nou football stadium. Good beds, spacious room, nice shower. The staff was really nice and helpful. SmartRoom Barcelona is an eco-friendly economy hotel located in central Barcelona, 0.6 mi from Sants Train Station. Very bright and moderne; a really pleasant surprise in the heart of Barcelona. 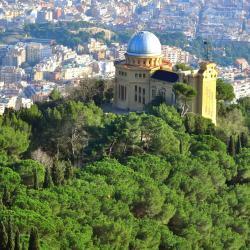 Catalonia Roma is 1969 feet from Sants AVE Train and Metro Station. 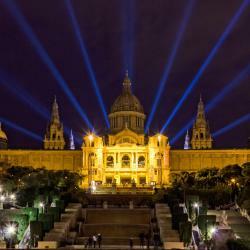 It offers free Wi-Fi, and you can reach Barcelona city center in 10 minutes by Metro or bus. Close to train stations so I could move around easy. Hotels with great access to Zona Universitària Metro Station! The stylish Catalonia Rigoletto is set 1640 feet from FC Barça’s Camp Nou stadium and 5 minutes’ walk from Maria Cristina Metro Station. Everything about this hotel was perfect. This comfortable hotel is located next to Sants AVE Train Station and offers panoramic views of Barcelona. Gran Hotel Torre Catalunya has a bar for exclusive use of the guests. location and the breakfast was wonderful we felt very safe as well! H10 Itaca is within 10 minutes’ walk of Sants Train Station, the AVE High-Speed Railway, Plaza España and the FIRA Exhibition Center. It features a stylish 2297 ft² terrace with a plunge pool. 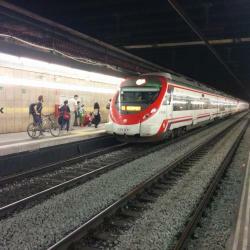 Excellent location for main train station - which we used to travel to Montmelo for the Moto GP. Located in the charming residential district of Sarrià, this elegant design hotel offers an outdoor pool and garden area, overlooking Tibidabo Mountain. Free Wi-Fi is available. The staff was very pleasant and helpful with getting us around and suggestions on local restaurants.